I often buy games post release, often when I deem it affordable. As such, I often end up with the full experience by buying the season pass/complete edition at a time when the entire roll-out has occurred. This isn’t always the case — sometimes I’ll manage to complete the story and drain the optional objectives until I’m bored. In the case of games with expansions, I have a horrible habit of completing them between releases, leaving a drive to play post-game content, but a need to wait for the complete version. Because of this, I’m staring at a copy of Assassin’s Creed Origins, Dark Souls III and Fallout: New Vegas, among others. The constant concern that I’ll need to relearn the controls due to the time passed, which has only really been a problem with long-forgotten control schemes, subsides at speeds relative to the quirkiness/uniqueness of the inputs. These are clearly not valid excuses, but still I haven’t returned. In truth, I’m typing not as a way to excuse myself, but to have a written example to point to in these cases of tardiness. 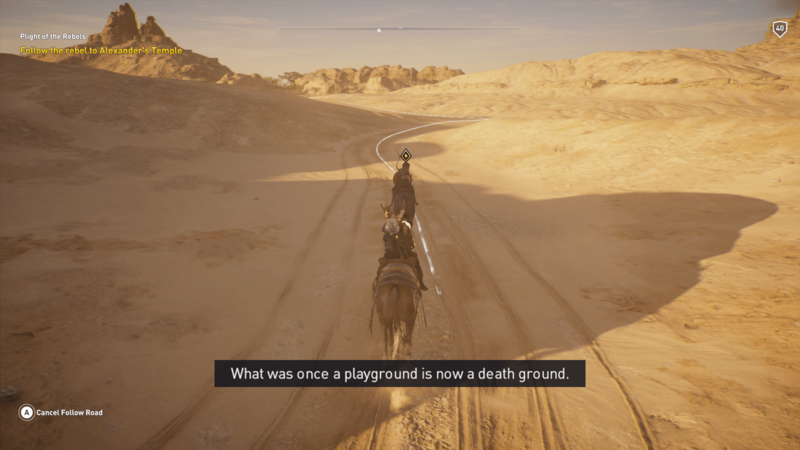 Bayek on Camel, pithy comment. When buying complete versions, this issue rarely rears its head. Standalone campaigns tend to excel here, with no need to hit a level cap or continue from an end-game state. When I finally picked up both Watch Dogs 2 and The Witcher 3, it was the versions with all the post-game content, which I proceeded to steamroll through on my way to the end. I buy the extra content because the majority of it has — historically — greatly increased the amount of fun mined out of the software, or feels like a way to support the development of a piece of software I purchased at a discounted rate. 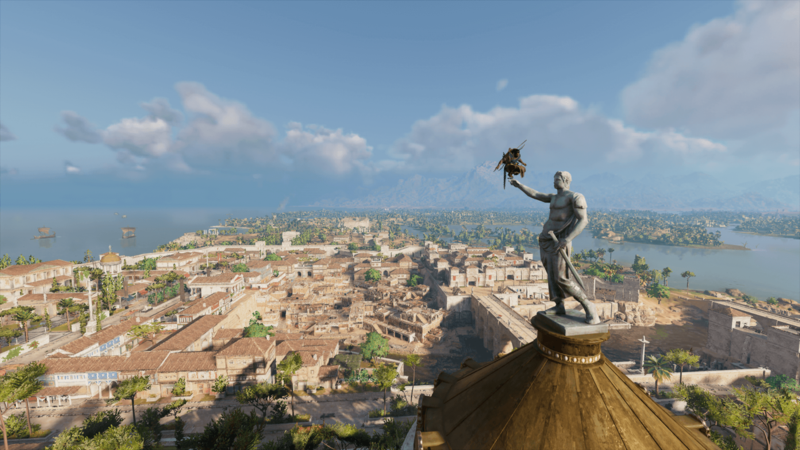 In some cases I’ll double dip on game platforms solely due to that drive to re-experience the worlds and their stories. I’ve used patches and bugs as excuses. ‘I’ll wait until they’ve squashed the bugs/rebalanced/fixed the gameplay loop’. So Fallout 4 is firmly on my backlog, after witnessing some of the worst jank I’ve ever dealt with in a Bethesda game — to the point where it was no longer charming. I decided to wait until it was final. That date has been and gone and I’ve yet to return to my settlement. Even if I did return, I still think my save clipped me into the terrain, which along with corrupted saves are the reasons I’m yet to return to other Obsidian and formerly Black Isle RPGs. Despite the craving to re-enter the world of Alpha Protocol, I’m still stuck in that wall and can’t move no matter how hard I try. 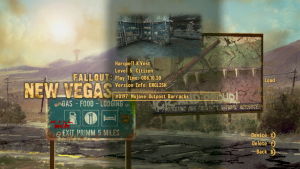 The Fallout series has always played in a way that allows re-specialisation, as such all of these saves were a sole character, with no need to play as a different creation. 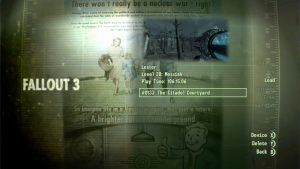 I have no idea what happened to my save, I do know that I’ve saved more times than in my Fallout 3 play-through. A similar issue befouled my LA Noire save, wherein the additional contract autosaves managed to wipe out my story save, leaving me over two thirds of the way through the game with the only option to restart and redo over ten hours of content. I would love to revisit the game, but I don’t want to trudge through puzzles I have already solved/failed, just to get to the point I was previously at. I’ve been similarly contemplating finishing Broken Sword 2 It’s been twenty-one years since I started it, with multiple attempts to get to the ending or even just to revisit that scene with the fence, the snow and the dog. I’ve had my saves eaten, fail to upload to the cloud/Dropbox and had devices just flat-out die after playing the game. A difference between Broken Sword 2 and LA Noire’s gameplay is that in BS2 is solely adventure-game mechanics — where it’s easier to forget how to get a dog’s very specific attention based on a bottomless pocket full of items than have to sit through a narrative that I can fail. I want to complete these stories. I want an excuse to revisit that isn’t an ulterior motive to complete my initial run. I’m too late in the progression to do a reset — I may have the New Game+ craving or the desire to run a different class, but it feels like cheating to not complete the content I paid for. Go on and just take it. Eventually I will complete Broken Sword 2, but I don’t know if I’ll actually manage to return to LA Noire without sourcing a save file off the internet. The plan is to complete three of the games by the end of the year — I doubt either of the Obsidian-adjacent games will get touched. PATHWAYS is an ongoing series about the way we make our journeys through the worlds of games. You can read the rest of the series here.